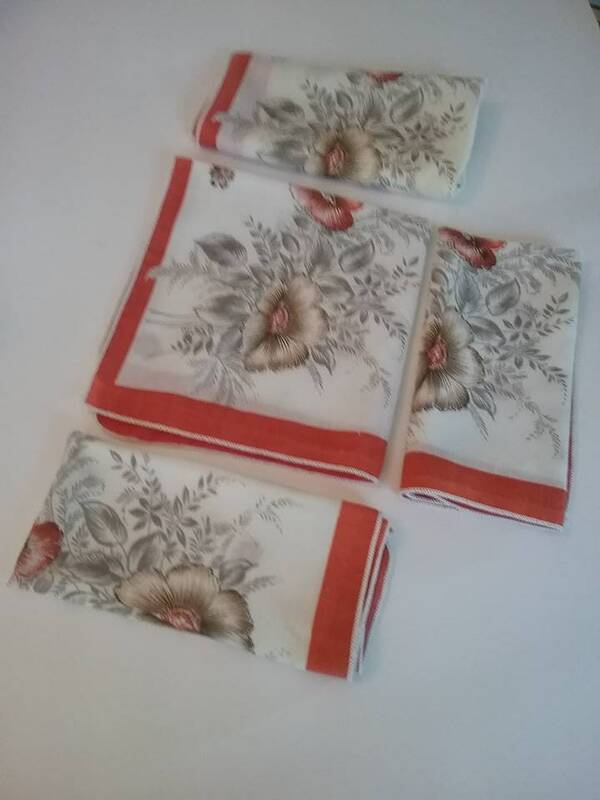 Four vintage floral fabric napkins. 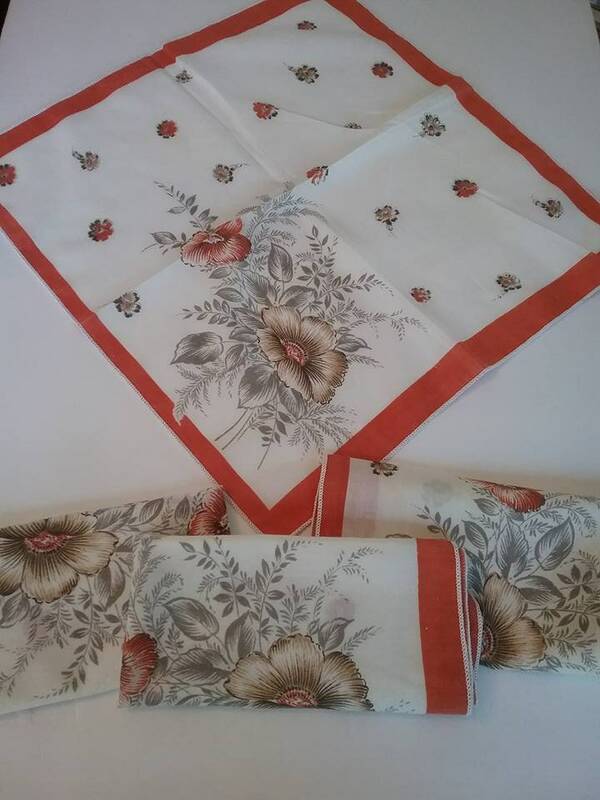 Vintage cotton/poly blend napkins. 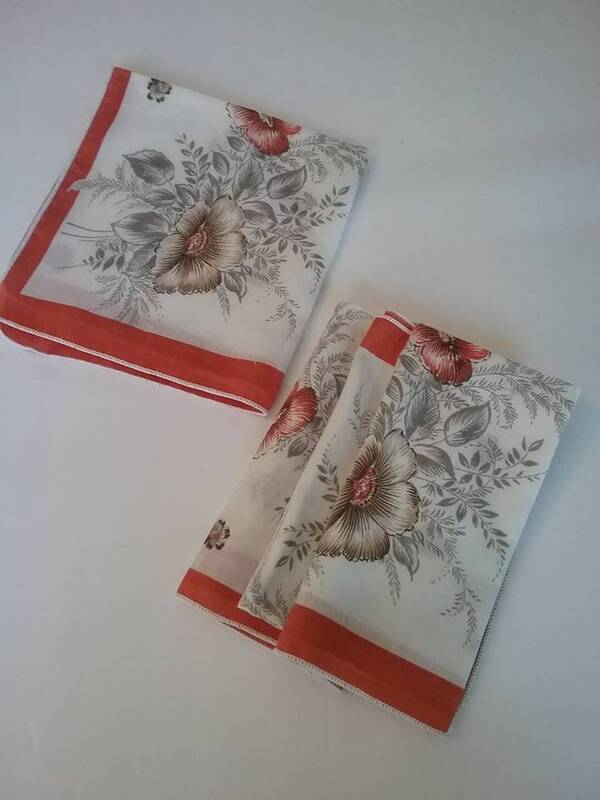 Lovely terracotta orange and light grey floral print, will make any dining table, extra special. 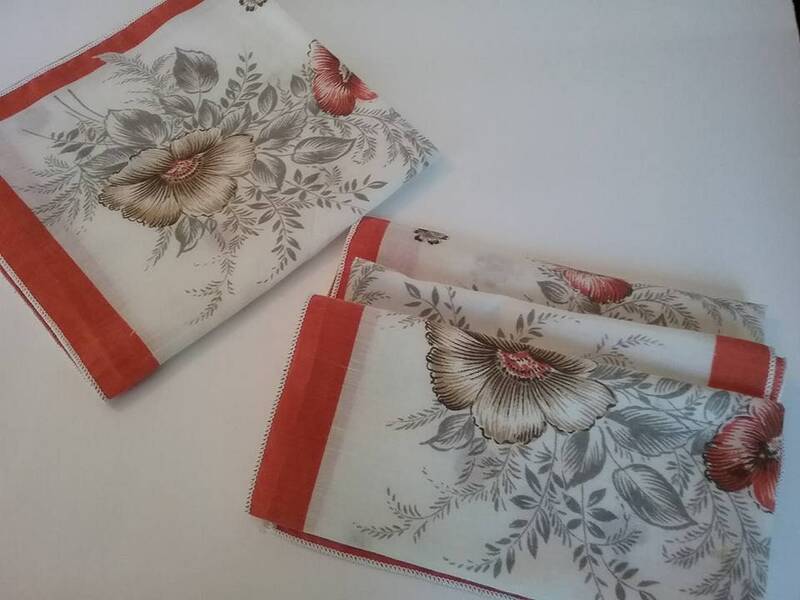 Cottage decor, shabby chic, or just plain dining, will be enhanced by the beauty of these napkins. 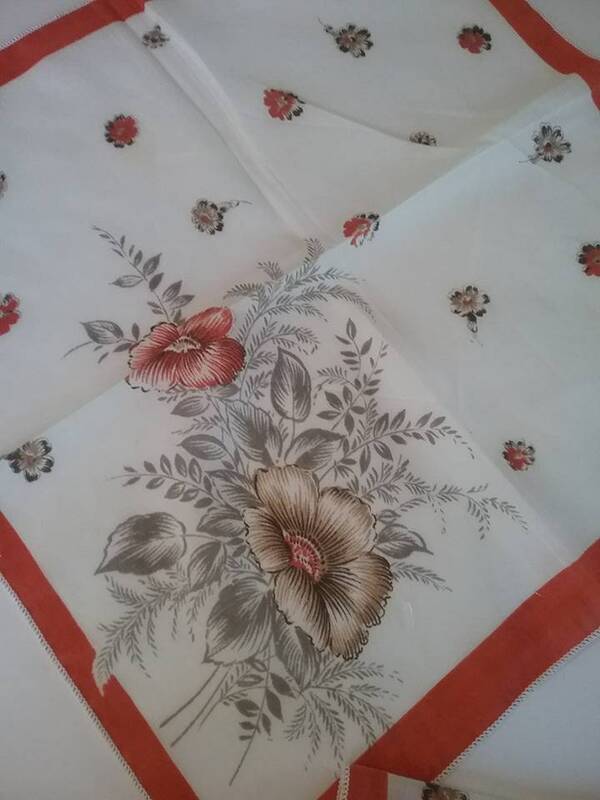 Very good to excellent vintage condition.